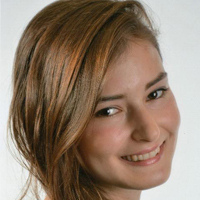 Chiara is a current student in our Bachelor Programme and also member of the FS MUN delegation 2016. When we heard about the Model UN Initiative at the beginning of last semester, both of us weren’t sure what exactly the initiative would be like and what to expect. This is because neither of us had participated in a Model UN conference before but we decided to go for it anyways and visit the Kick-off. From then on we were really convinced that we wanted to be part of such an interesting, international and educational organization. Firstly, because we were fascinated and intrigued by the work the UN has achieved over the past 70 years, causing us to want to get an insight on how the UN work. Secondly, to being able to participate in the most international MUN conference in New York. After all, when else do you have the possibility to interact and work with students coming from 130 UN Member States and to furthermore get first hand experience on the workings of the United Nations, other than at the National Model UN? Several week of intense preparation, workshops and Position Paper writing later we finally landed in New York on March 22nd. Besides visiting the main attractions and we also took every opportunity to explore more of city, by for example going up Rockefeller Center, visiting SoHo, the Upper East Side and walking around Midtown. One of our highlights was the visit of the Metropolitan Museum, where we spent an unforgettable afternoon, being able to admire example several paintings of Claude Monet and Vincent Van Gogh. Despite really enjoying all of the sightseeing, we were also looking forward to the two interesting days of workshops ahead of us, before the conference started. The first one being our visit to the permanent Mission of Japan to the United Nations and meeting Mr. Hiroyuki Mase, to discuss Japan’s opinion on current international affairs. His insights as well as the way he was answering all of our questions in an admirably thoughtful and thorough manner were very interesting and helpful, enabling us to understand the culture and viewpoint of our assigned country better. After a day to yourselves, we then had a nice and productive day at Deutsche Bank on Wall Street, where we wrote our opening speeches as well as received final information on the conference and reminders on what to bear in mind. On March 27th the NMUN conference started with the opening ceremony, consisting of thought-provoking and inspiring speeches, after which we all met up with our committees for the first time. Both being assigned to UNICEF, a surprisingly small committee of less than 40 countries. We soon engaged with students from all over the world. It is very interesting to hear about their different backgrounds, as most of them study within the field of political science, having had a semester worth of classes reserved for the MUN preparation, due to MUN being a graded subject for them. We both really enjoyed working with several delegations on writing different resolutions, whilst also holding many speeches in front of the entire committee. Despite many interesting and rewarding conversations, the often stressful 12 hour plus days made us realise that the work of diplomats can be a lot more difficult and exhausting than you might expect. 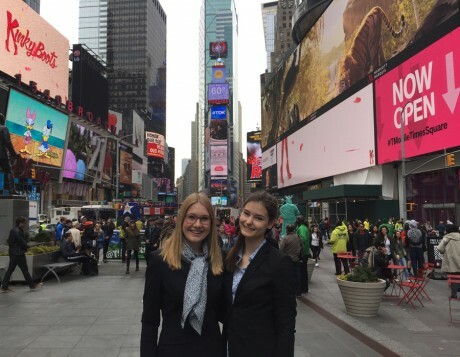 Furthermore, it was really easy to get in touch with other Frankfurt School Students during our time in New York, especially from the Master Programmes or higher semesters. Sharing a room with two lovely Master in Management students, we probably wouldn’t have gotten in touch with otherwise, we had awesome conversations till late at night. Besides connecting with our roommates, we also took over the FS-MUN twitter, where we continuously posted updates on the conference. We would fully recommend and encourage this experience for any and all students regardless of if they want to work at the UN or a similar Organisation, as the experience stays with you for the rest of your life. We strongly believe that this unique experience will aid you in your future work and personal life in ways you wouldn’t even realize now. We are both thankful for this Model UN experience for helping us realize what you are able to achieve if you just push yourself a little further. For us, this was mainly holding speeches in english in front of many native speakers concerning topics you normally would not hold speeches on.